The term ‘tort de moy’ is derived from the French word for bone marrow, moelle. It may sound rather simple, or even unpalatable, but at Westminster Hall on 23 April 1685, bone marrow tart was served as the food of royalty. Francis Sandford’s History of the Coronation is a rich record of the crowning of King James II and the festivities which followed. King James II’s coronation was a lavish affair, culminating in a sensational feast in the medieval hall at the Palace of Westminster. 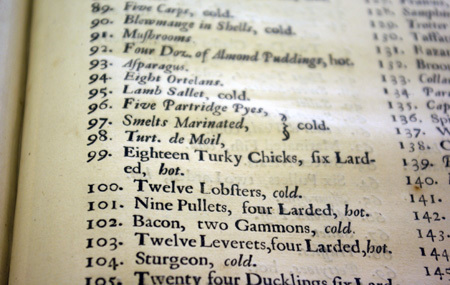 Extract from Sandford’s History of the Coronation listing meats served at Their Majesties’ table at the coronation banquet. Turt de moil (tort de moy) appears at number 98. In total, 175 dishes were set in front of Their Majesties at the banquet. From stags tongues and larded fawns to puffins and trotter pies, the array of dishes was eclectic, eccentric, and not generally in keeping with today’s tastes! Pound a quarter of a pound of almonds with sack, and beat the white part of a young pullet that is very tender & half boiled. Skin it and pound it very small. 4 naple biscuits grated, some pounded cinnamon, half a pint of sack, 6 spoonfuls of rose water, some pounded mace, half a nutmeg, some sugar to your taste, sliced citron & candied lemon peel. Then beat 4 eggs, two whites and mix it with half a pint of cream. 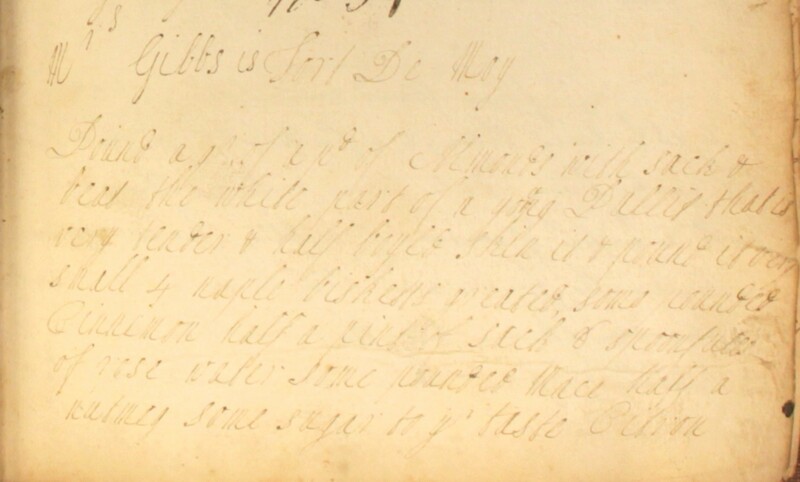 When you have beaten your eggs and cream well together, put your other ingredients to it and mix them well together and put them in a skillet over the fire and keep continually stirring [it] one way till it is as thick as a tansy. Your fire must be slow. Then have a dish with puff pastry at the bottom and sides, and when it is pretty cool, put half of [the mixture] in your dish and then a layer of whole marrow and the juice of a lemon over it. Then put the other half in , then cross bar it with pastry [on the] top and bake it in a very slow oven. 3 quarters of an hour bakes it. You can leave out the marrow if you like. The method is labour intensive, and the ingredients would have made this a relatively expensive dish: ground white chicken (pullet) meat, almonds, warm spices and candied fruits. And it is rich in taste and texture too, with unctuous bone marrow sandwiched between almondy sponge layers. Presented in a buttery pastry case, it would surely have stood up to its culinary neighbours at the coronation banquet table. 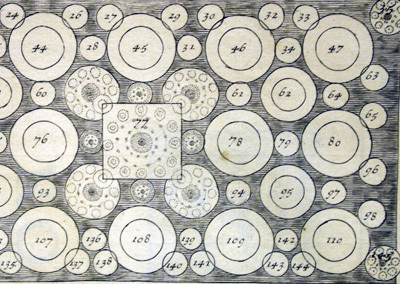 This entry was posted in 18th century recipes, Cookbook recipes and tagged 18th century cookery. Bookmark the permalink. A Lombardy Custard, a spicy fruit tart, used marrow as an ingredient. Was served at a feast in 1387 for Richard 11 and the Duke of Lancaster! It is a very rich tart and great as a Christmas dessert. 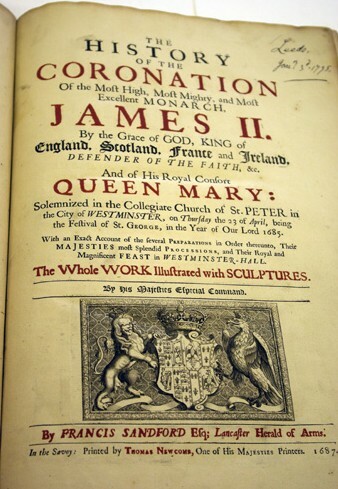 You will get some more glimpses of my copy of Francis Sandford’s wonderful book on James II’s coronation. I am going to have to try recreating this… and you better believe I will be using the bone marrow! Fantastic! We’d love it if you’d send us a photo of the finished dish… our email is archives@westminster.gov.uk. Hope it goes well! Just discovered your marvellous blog. Love that it combines my passion for cooking with my interest in British history.